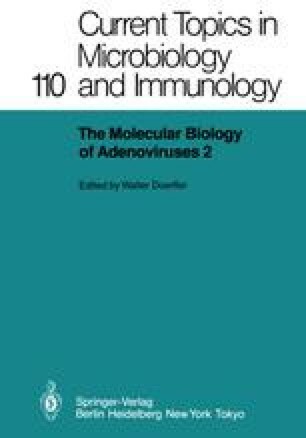 The initial experiments by Rowe and his colleagues that led to the discovery of adenoviruses also provided fundamental data on the prevalence of these agents. Surgically removed adenoids from 53 children in Washington, DC were explanted in tissue culture. After an observation period of 4 weeks, 33 of the cultures showed a slowly progressive cytopathic effect. The agent isolated from these cultures was appropriately designated the adenoid-degenerating (AD) agent (Rowe et al. 1953). An etiologic relation to acute respiratory disease (ARD) was also soon established for adenoviruses (Hilleman and Werner 1954). The two fundamental properties of human adenoviruses — the acute respiratory infection and the persistent infection of lymphatic tissue — were thus recognized at an early stage.